When will the shirts release? Where can the shirts be bought? We have all the answers and more. 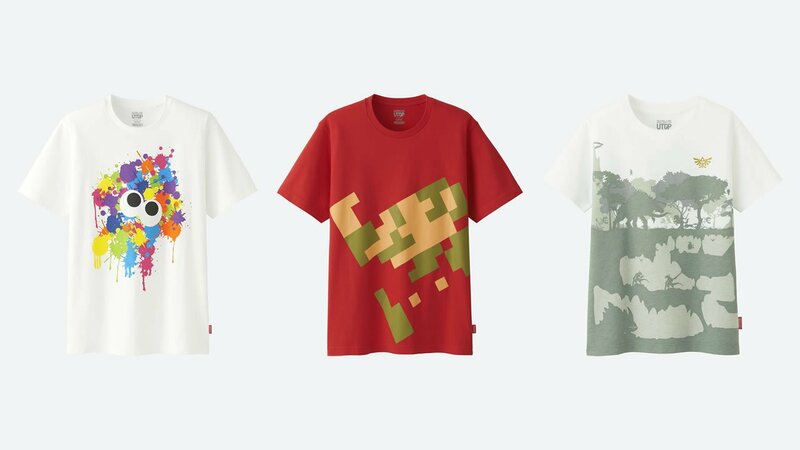 For all those who weren't aware, Japanese fashion retailer Uniqlo recently ran a contest encouraging fans to create and submit their own Nintendo-based t-shirt designs that the company would later put on sale. They received an influx of various designs through the duration of the contest, and now that the competition has drawn to a close, Uniqlo is showing off all of their newest goods in addition to their choices for the prize-winning submissions. Which Shirts Made The Cut? The shirts that made the final cut are fantastic, with excellent designs based around Pikachu, Kirby, Donkey Kong, and even Star Fox landing in the mix. You can check them all out over on the Uniqlo website. Strong as those designs are, however, Uniqlo had to single out their favorite three in order to dole out their contest winnings. The gold medal prize went to a Japanese contestant and Mario fan named Takashi Kawazoe, who created the red shirt design seen above. His design earned him a very impressive $10,000 prize in addition to a Nintendo Switch console signed by Shigeru Miyamoto himself. Second place went to the Splatoon design, seen in the upper left, which earned Japanese designer Shino Yamazaki $3,000 in addition to a signed Switch. The third place Zelda-inspired design seen in the upper right earned Mexican designer David Ricardo Flores Gomez a nifty $500 prize. When Will The Shirts Be Available To Buy? All of the prize-winning designs as well as the chosen few additional shirts will be put on sale in Western markets on May 19, very likely through the Uniqlo website. And, sadly, the Zelda shirt design above is for kids only, but fortunately there are plenty of other gamer-worthy threads on offer. After decking out your torso, why not deck out your Switch? Check out our guide for the Best Nintendo Switch Cases.